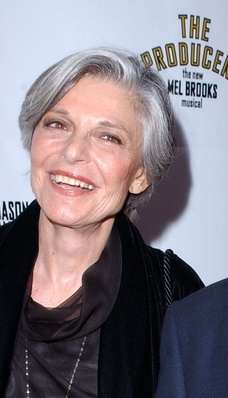 Anne Bancroft was an American actress. She won the Academy Award for Best Actress for The Miracle Worker (1962). Her parents, Carmella “Mildred” (Di Napoli) and Michael Italiano, were born in New York, and all of their own parents were Italian immigrants. Anne was married to director/writer/actor Mel Brooks, until her death. Their son is author and screenwriter Max Brooks. Anne’s paternal grandparents were Luigi/Louis Italiano (the son of Michael Italiano) and Guana/Julia. Anne’s maternal grandfather was Antonio Di Napoli. Antonio was born in Muro Lucano, Province of Potenza, Basilicata, Italy. Anne’s maternal grandmother was Anna Maria Lopilato (the daughter of Donantonio/Donato Lopilato and Anna Maria Urbano Scaringi). Anne’s grandmother Anna was born in Muro Lucano. Donantonio was the son of Michelangelo Lopilato and Anna Maria Zanniello. Anne’s great-grandmother Anna was the daughter of Giovanni/John Urbano and Maria Scaringi.